As the 2017 update of the Northern Ireland Skills Barometer outlines its projections for skills demand, and makes recommendations in the context of Brexit and sectoral growth in the job market up to 2026, agendaNi takes a look at efforts to enhance labour market skills in the Republic. 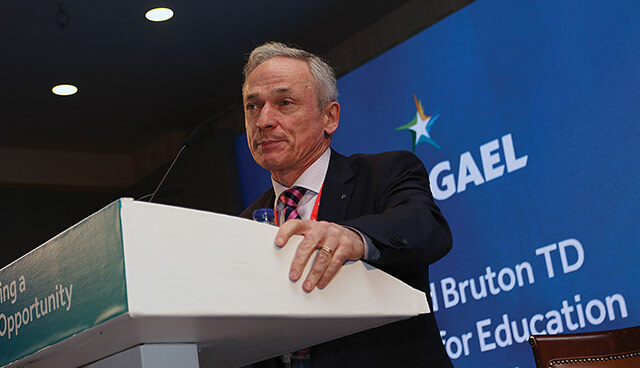 The Republic’s Education Minister, Richard Bruton is pursuing a greater link between education and enterprise. Indeed, the Minister has outlined plans to treble the number of apprenticeships and double the number of traineeships in order to provide entirely new alternative pathways for young people to reach their learning potential. “That means opening new pathways for people to get to success in a changing world. There are real opportunities for apprenticeships, including 59 entirely new trades coming on stream which will encompass insurance, data protection, computer animation and many more right across the employment spectrum. There are so many new areas where we can develop the earn-as-you-learn model and embed learning in a practical enterprise environment, alongside [third level education],” he explains. Currently, record numbers are enrolled in third-level education, while, as Bruton asserts, apprenticeships have become somewhat underutilised in Ireland. “Obviously, we don’t have the culture which exists in places like Germany and Austria in terms of guilds and employers embedded in learning as part of a social partnership. So, we have had to create it. The Irish Government is committed to the establishment of amalgamated and augmented institutes of technology in the form of technological universities. Responding to a query on the rationale for such developments, the Minister emphasises the wider economic health of the nation. “Balanced regional development is the key. We’ve grown our employment base by 240,000 since the depths of the crash and we are seeing a good regional spread, but to make that sustainable, we must have deeper talent bases in each of the regions, to ensure that they can retain their own talent, support existing companies and nurture new companies,” he unpacks. “If we’re to have balanced regional development, we need deep skill pools that can be a magnet to foreign direct investment. We need to develop the applied research capability, to work with industries and the sectoral strengths of regions to build those companies up. The idea has been that we need bigger scales, that we need merger and we need coherence in those regions. Did you know GCSE grading in Northern Ireland is changing?